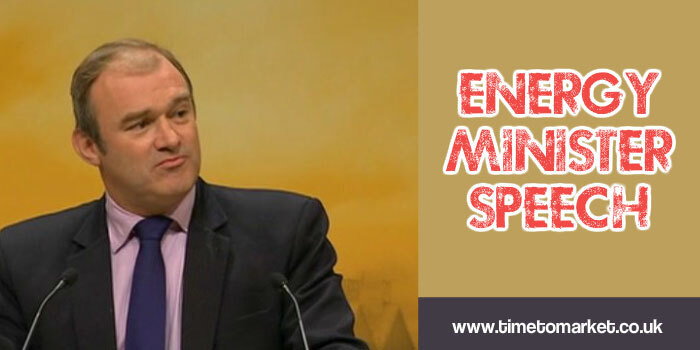 An energy minister speech by Ed Davey was expected to turn up the heat today. The energy minister was speaking at the Energy UK conference in London. Attending the event, the Minister had the chance to use his speech to set out stronger terms of trade for the UK energy sector. That was the undoubted plan. His introduction was very diplomatic. So diplomatic that he might consider a change of direction at the Foreign Office one day. So a Britain of blackouts remains a memory of our past, not part of our future. That might be achievable with diesel generators, I suspect. This is a ‘Fred the Shred’ moment for the industry. You deliver an essential public service, so your industry must serve the public–and the public must have trust in what you do. Everything we do has to ensure that we drive investment into the system – not scare it off or freeze it out. Freeze out new entrants and you freeze out new business models and new ideas that can deliver better, faster and cheaper for customers. And that was about it. No other mention of winter, cold, snow or ice! A wasted opportunity for some lyrical speech writing perhaps…but dangerous territory for an energy Minister speech. What Drives This Energy Speech? make sure that we create one of the most competitive and attractive electricity investment markets in the world that drives the transition to a cleaner, low-carbon energy system. Yes – we have to use the market to drive the decarbonisation that is imperative to meet climate change obligations to future generations. This is where there is now great scope to drive competition and drive down prices. I speak as the former Minister for Competition, who made and drove the decision to establish the Competition and Markets Authority and reform Britain’s competition law. His speech was met with polite applause. And that was to be expected. Energy UK is after all the trade association of the big six energy companies in the UK…those with the most to lose from the Minister’s plans. So, did he manage to turn up the heat on the companies with this speech? No, not really. There’s some way to go if that’s his plan. 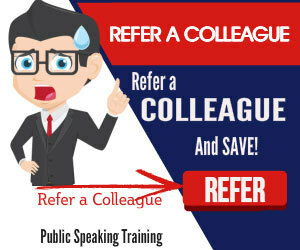 So, if you have the energy, you can prepare your next conference speech with these tips for public speaking. Or, better still, why not ask us to organise a public speaking coaching session. 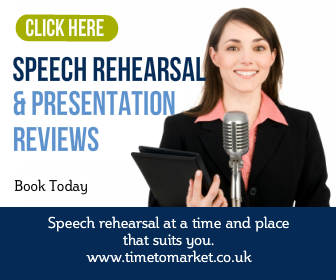 We can coach your public speaking skills at your own office or one of our network of more than 40 training centres. You can always call us to discuss further.